Even Cupid needs a little help! 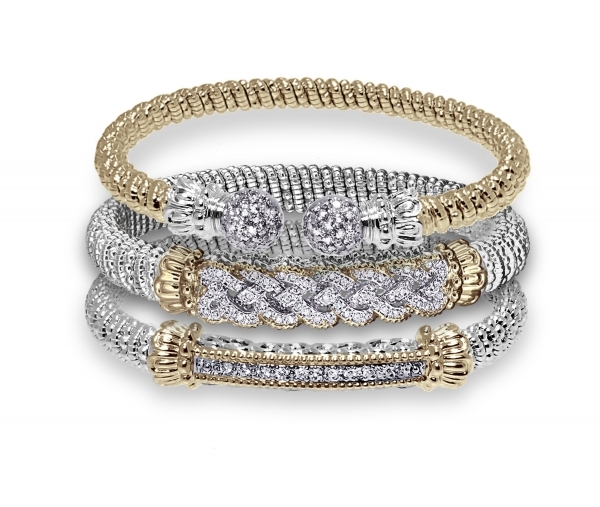 All heart jewelry is 30% off and our Beverley K stacking bands are half price! 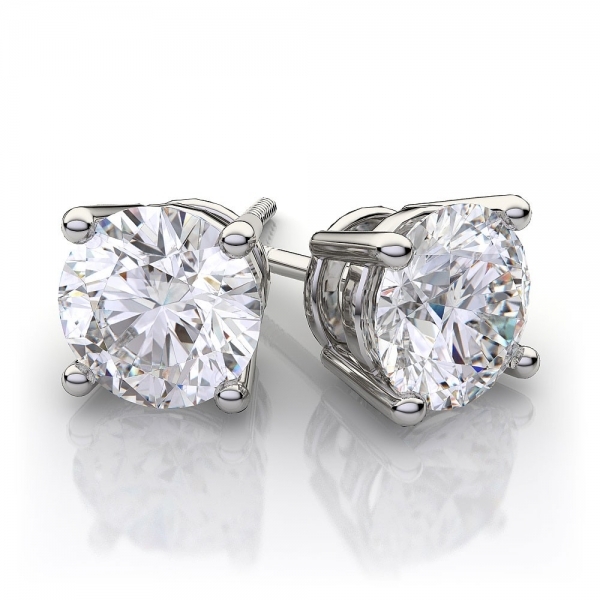 Plus we have special pricing on diamond earrings! Getting engaged? 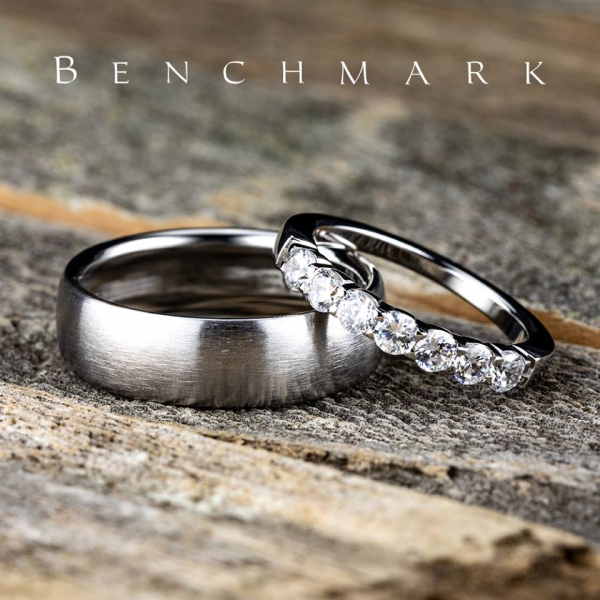 Upgrading for an anniversary? 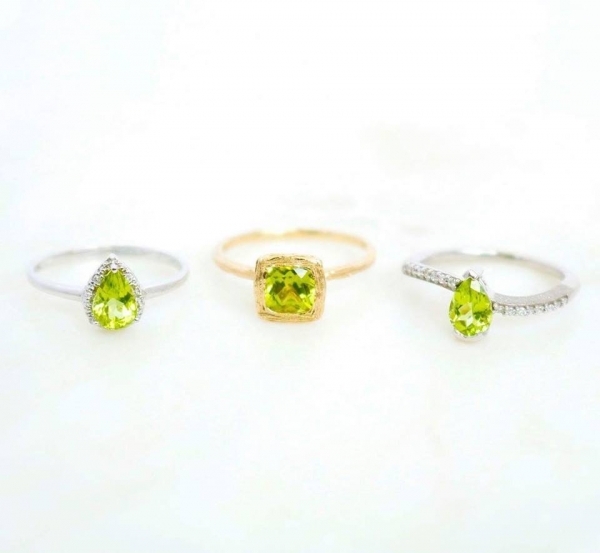 Our entire collection of Kirk Kara is now HALF PRICE! 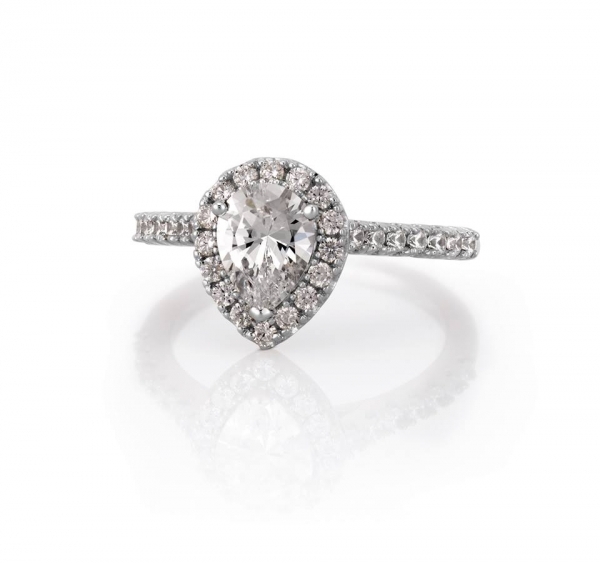 The fun is just beginning for all the couples who got engaged over the holidays! 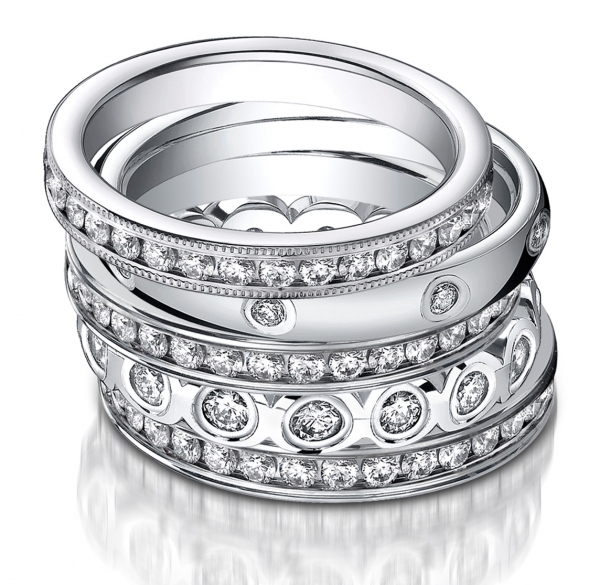 We are excited to help you choose your wedding bands! Did Santa leave some cash in your stocking? 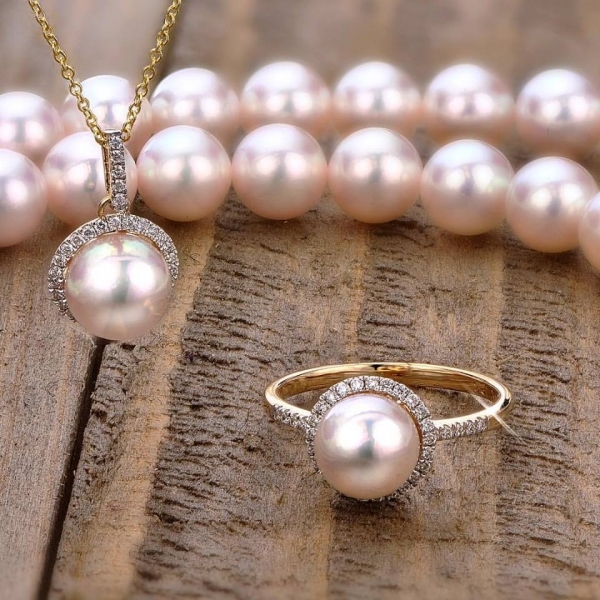 Shop our Year End Clearance sale and save up to 70%! 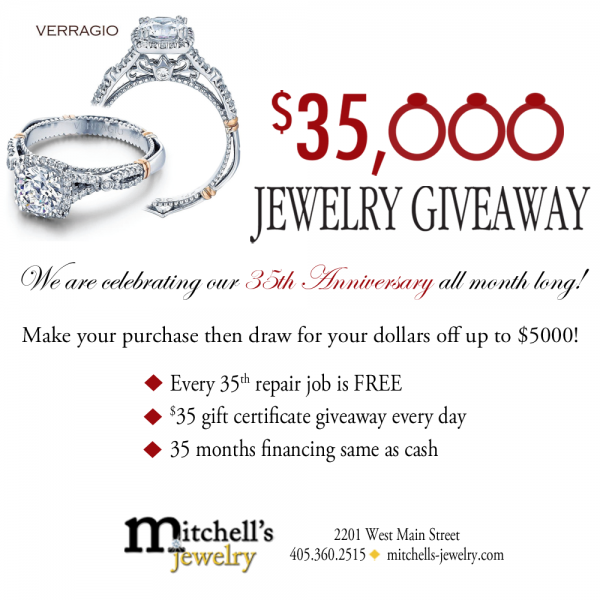 It's our 37th Anniversary and we are celebrating all month long! 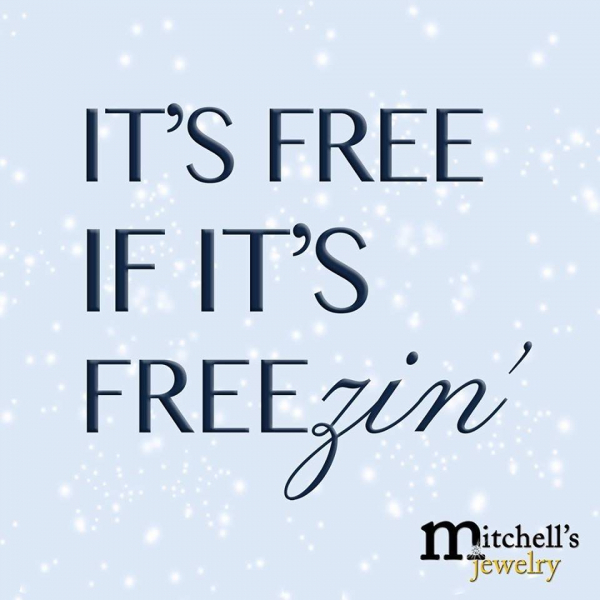 New Michele watches have arrived! 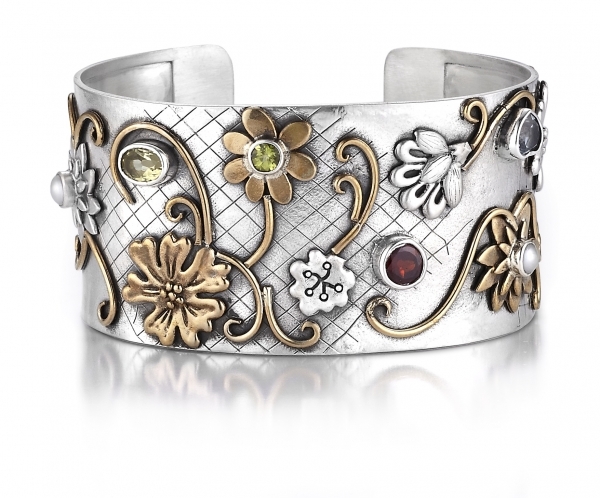 Update your Wish List for Mother’s Day! Half Off Half the Store! 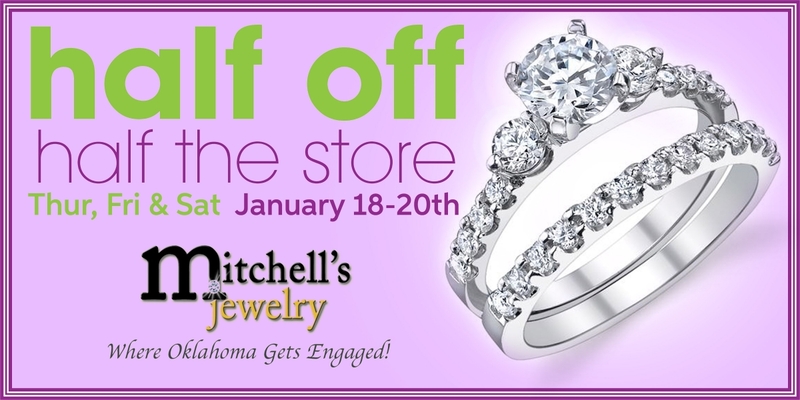 Our Half Off Half the Store sale is this Thursday through Saturday! 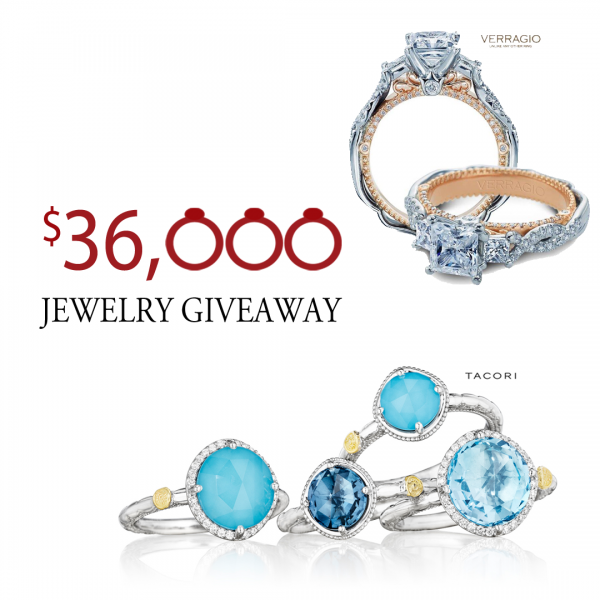 Don't miss your chance to get that Wish List item that Santa forgot! 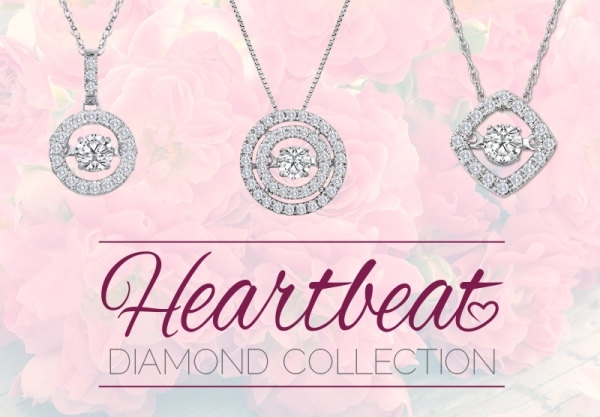 Treat yourself or shop for Valentine's Day! 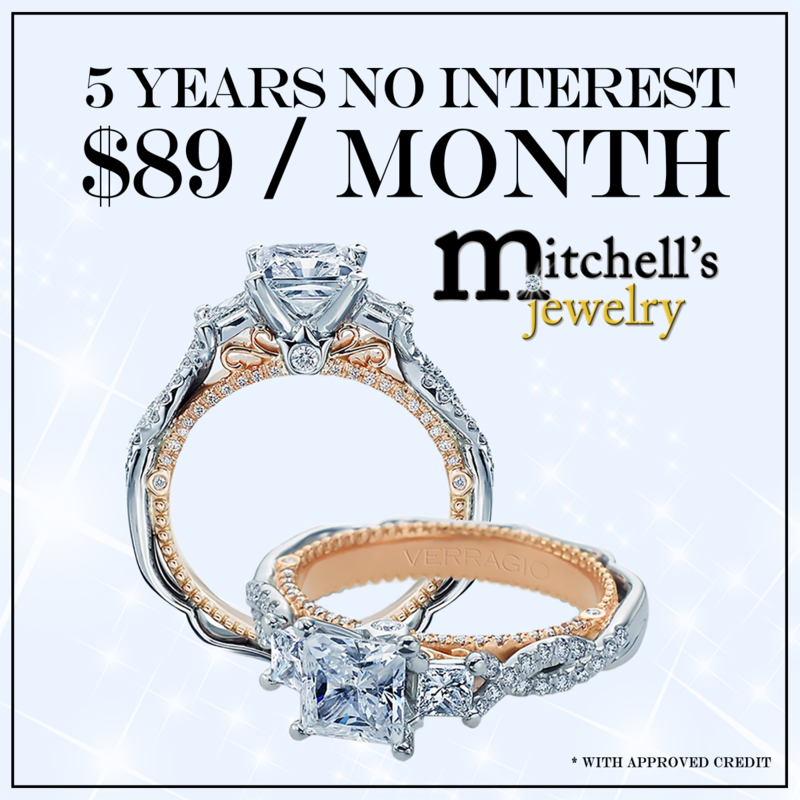 Celebrate your January birthdays and anniversaries and save! 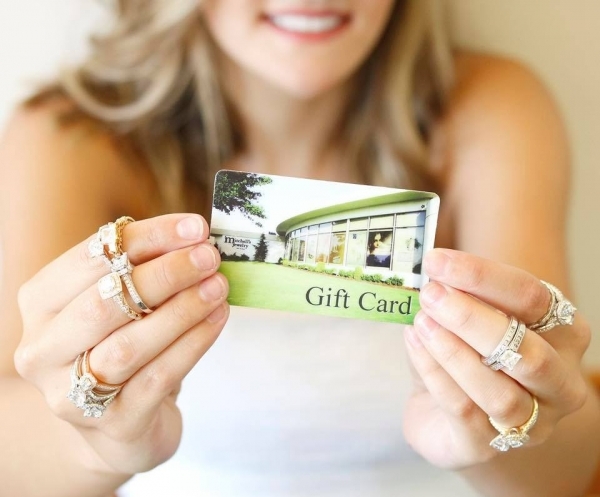 It's time to celebrate your January birthday or anniversary! 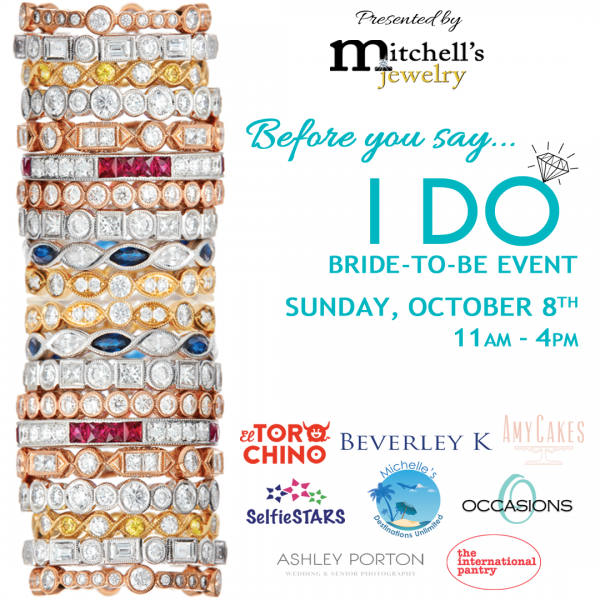 Save $100 off your jewelry purchase of $200 or more! 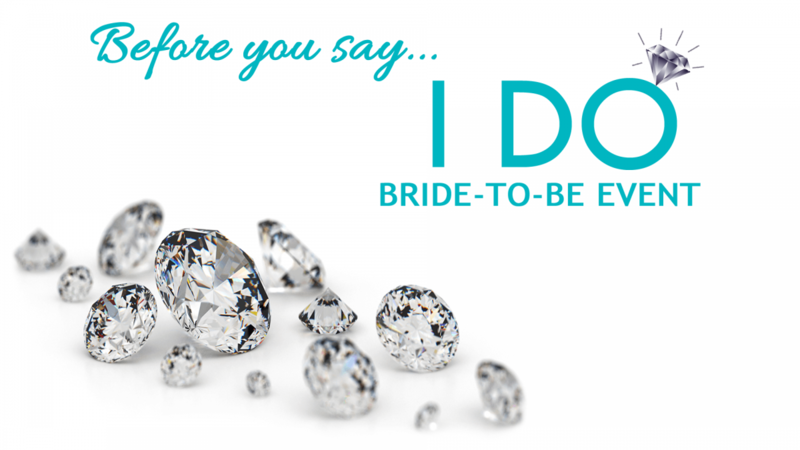 Let us help you make this an occasion to remember! 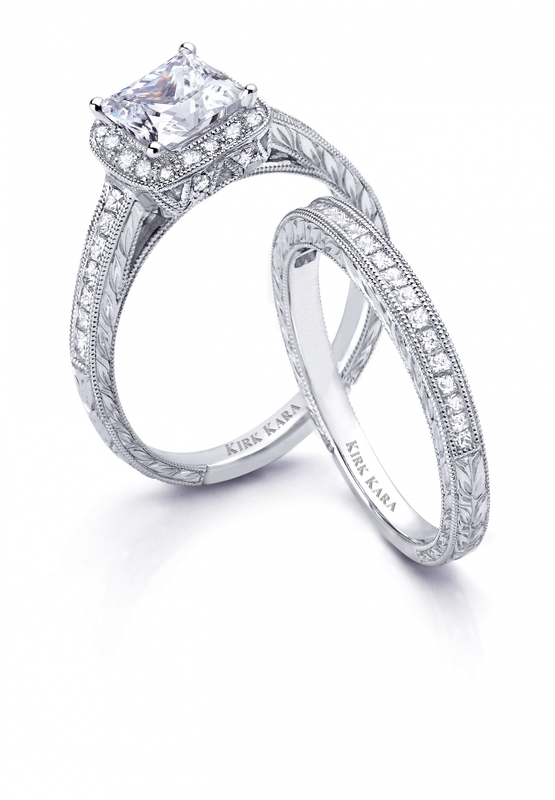 Getting Engaged? 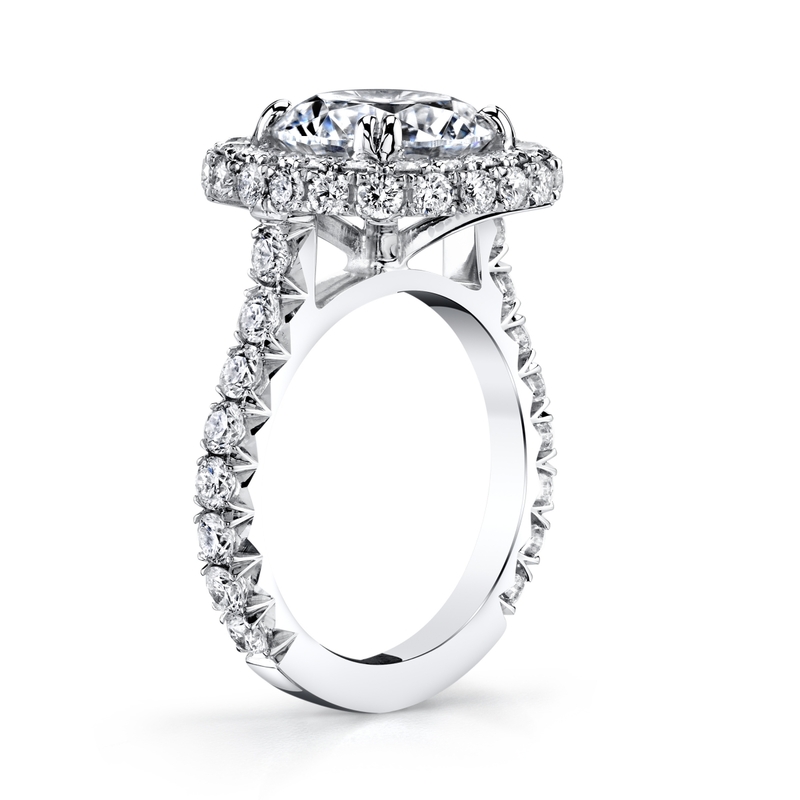 Let us help you select THE ring she wants and you get the saving you want! 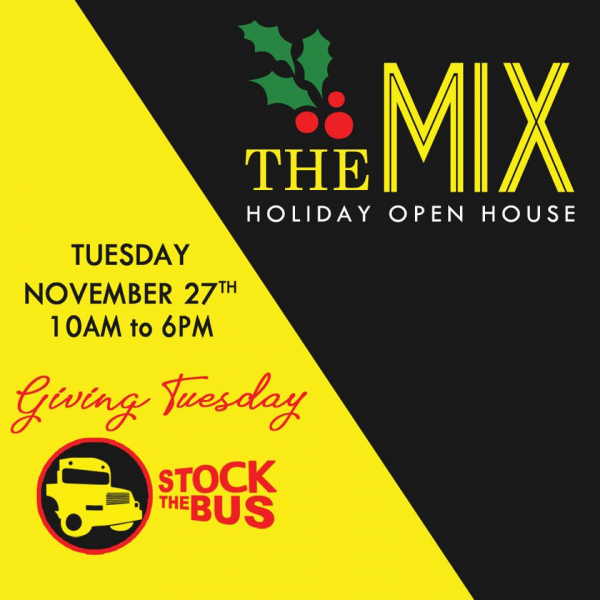 We are closed on Tuesday, January 2nd for inventory so take advantage of these savings now! 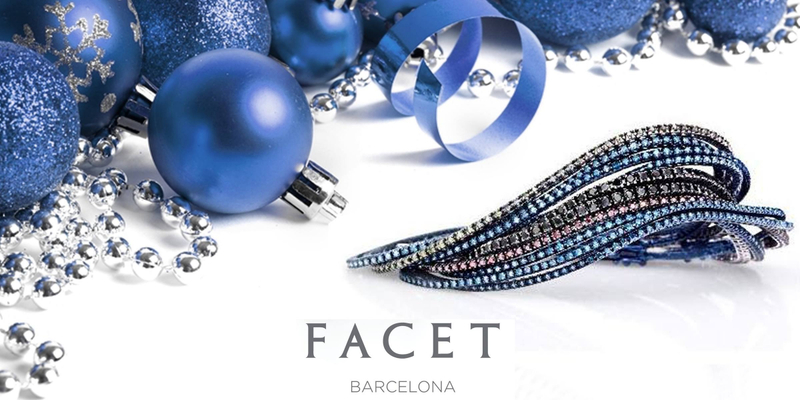 Save up to 50% during our Christmas Sale! 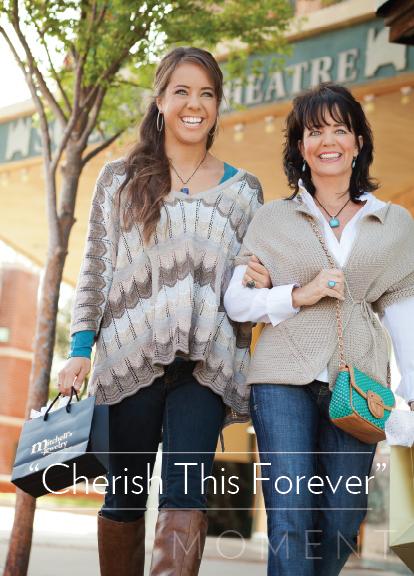 Let us make your shopping enjoyable! Come in and save up to 50% throughout the store then let us wrap your gifts while you sit back and enjoy a little Christmas cheer! 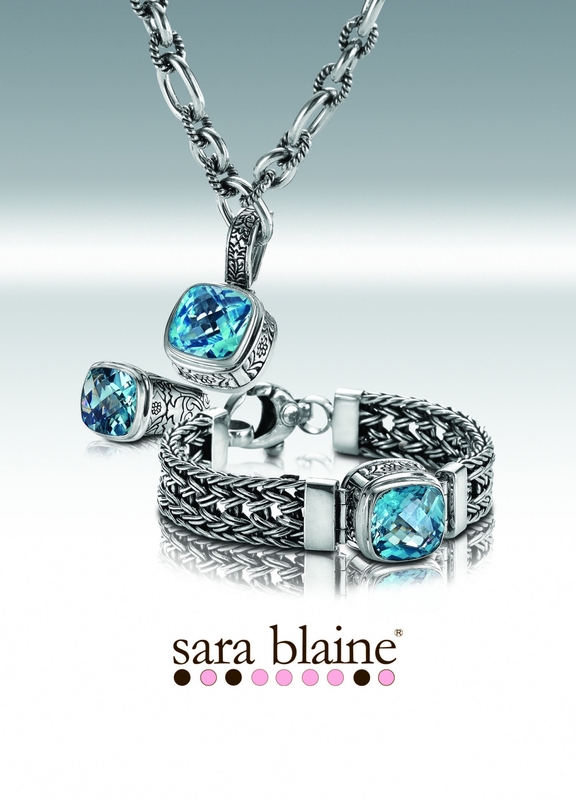 BOGO on Sara Blaine this week only! 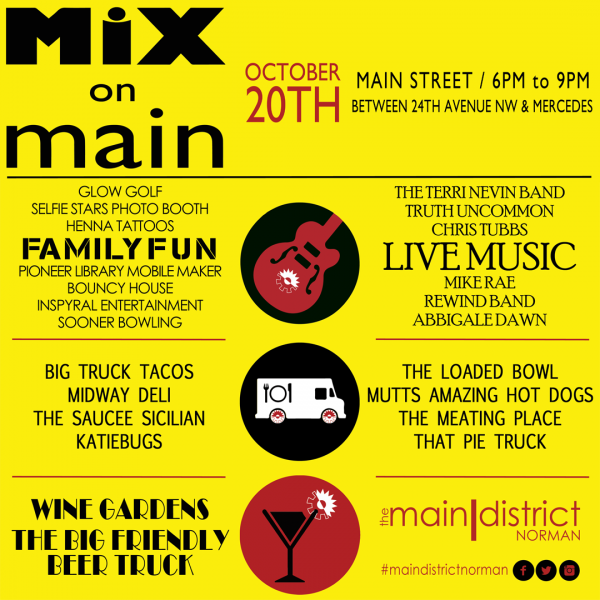 Join us Friday, October 20th for Mix on Main! 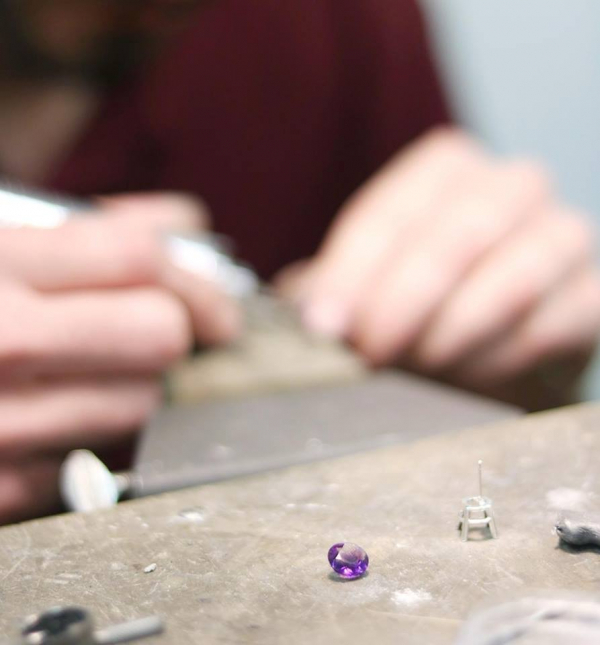 We will be hosting a pearl and gem show so make sure we are your first stop then enjoy all The Main District has to offer! 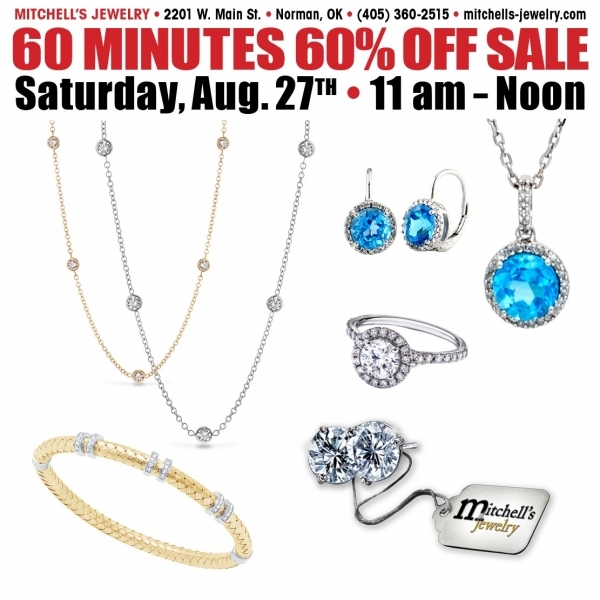 60 MINUTES 60% OFF happens this Saturday from 11am to Noon! 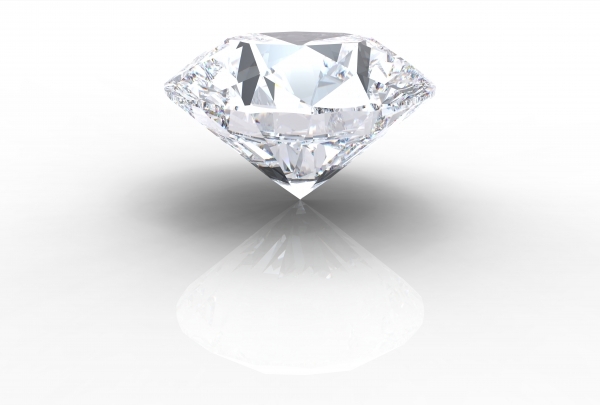 Your Diamond Could be Free! 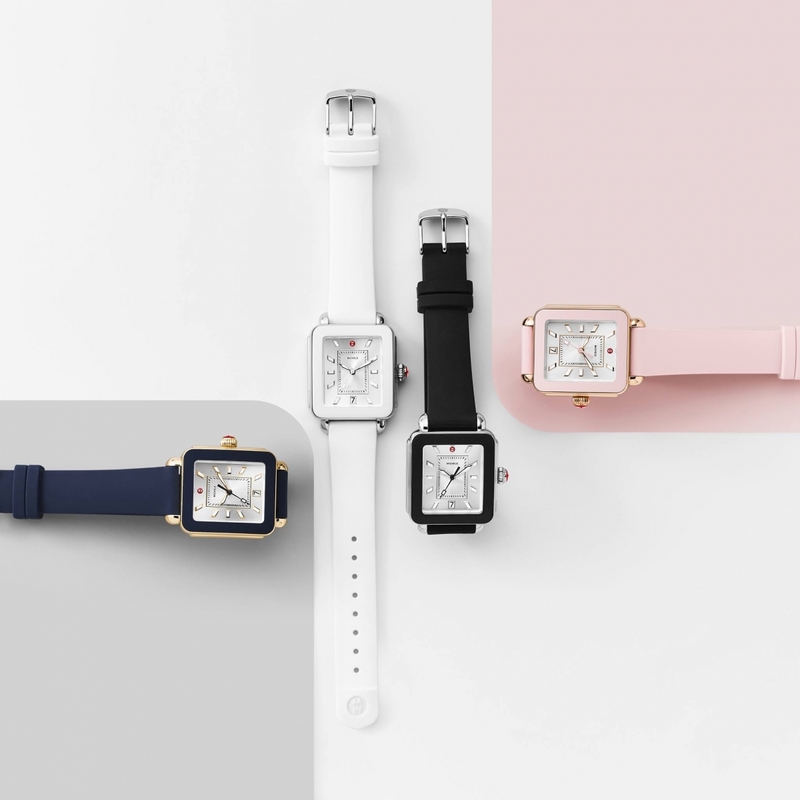 New MICHELE watches have arrived! ZERO interest for FIVE Years! Congratulations to Andrew and Taylor! Congratulations to this amazing couple! 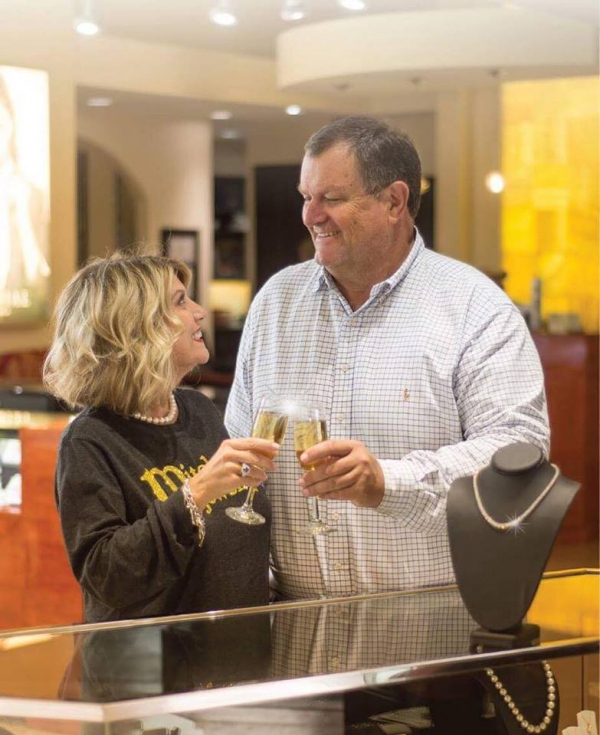 We are always happy for our engaged couples but this one is extra special - Andrew is one of our own! Congratulations to Andrew and Taylor! 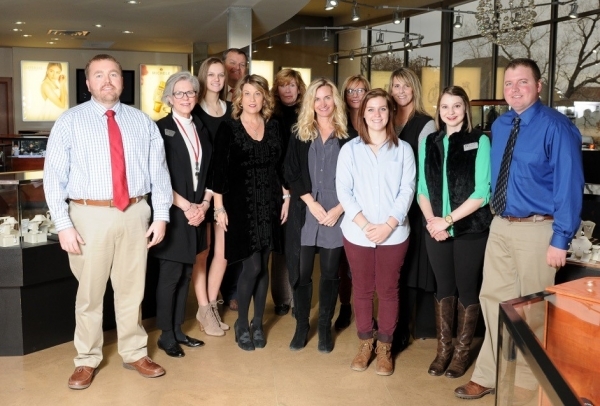 Thank you for voting us as your Favorite Jewelry store - 12 years in a row! 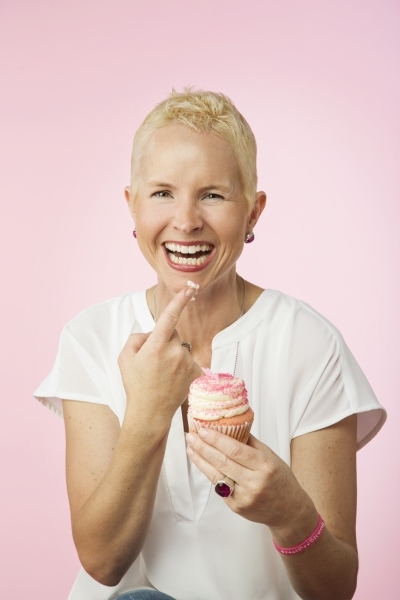 We are honored to be part of so many special occasions but truly, this is what it is all about! Congratulations to this amazing couple! 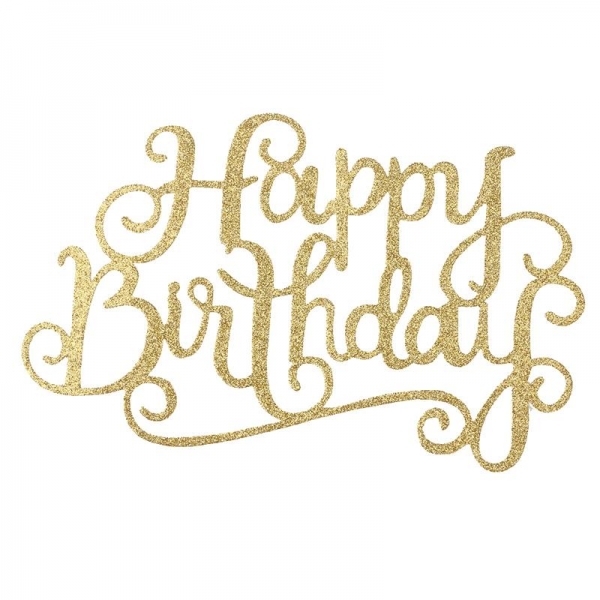 Thank you for letting us share in your celebrations! We look forward to a wonderful 2017 with our amazing customers! 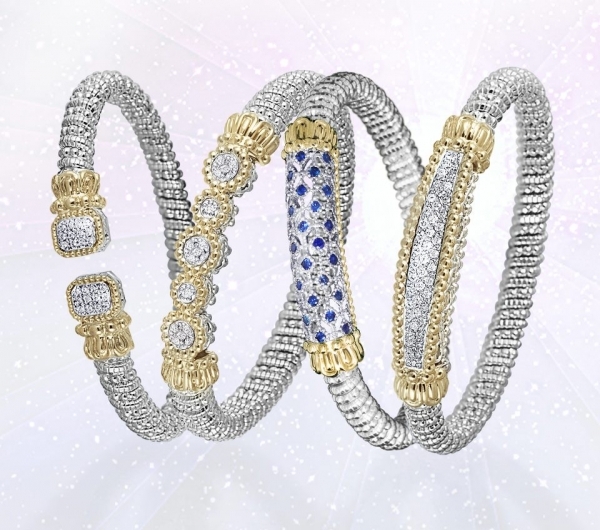 Shop our Christmas Sale and SAVE up to 50%! 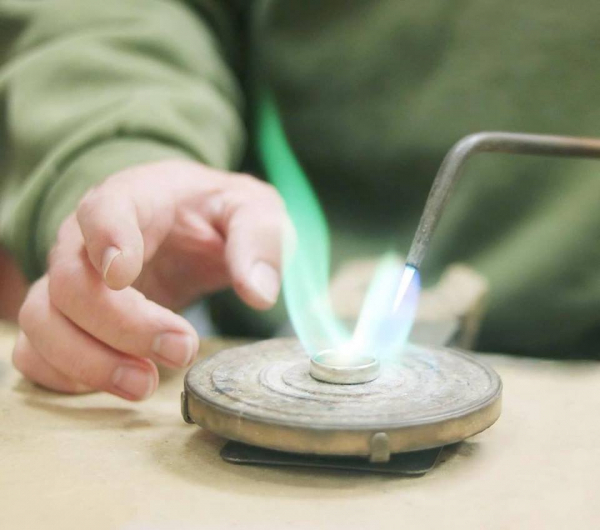 Shop our Christmas Sale and SAVE up to 50% throughout the store! 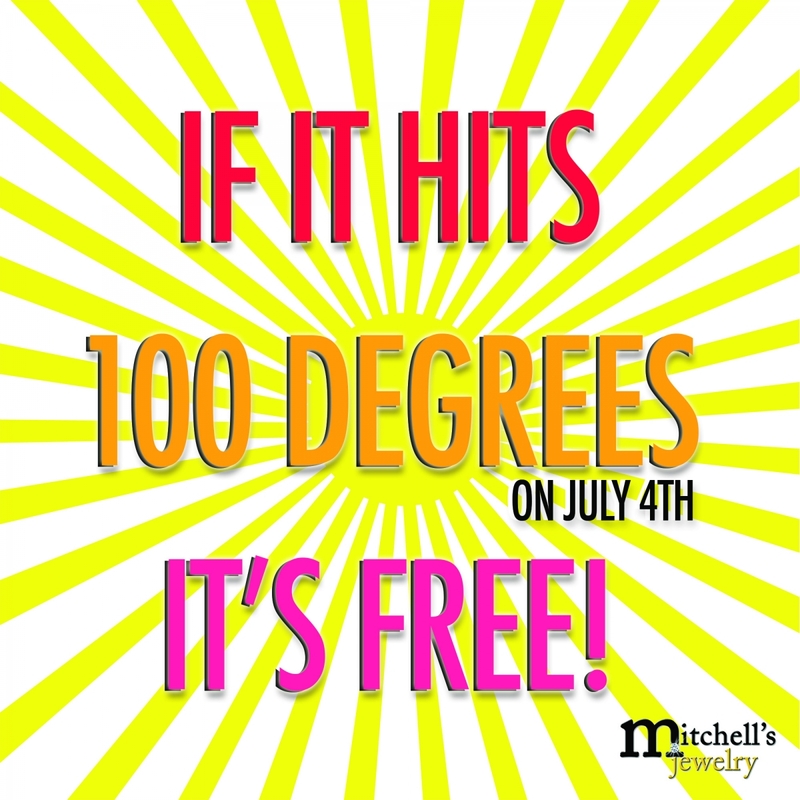 60 MINUTES 60% OFF happens this Saturday! 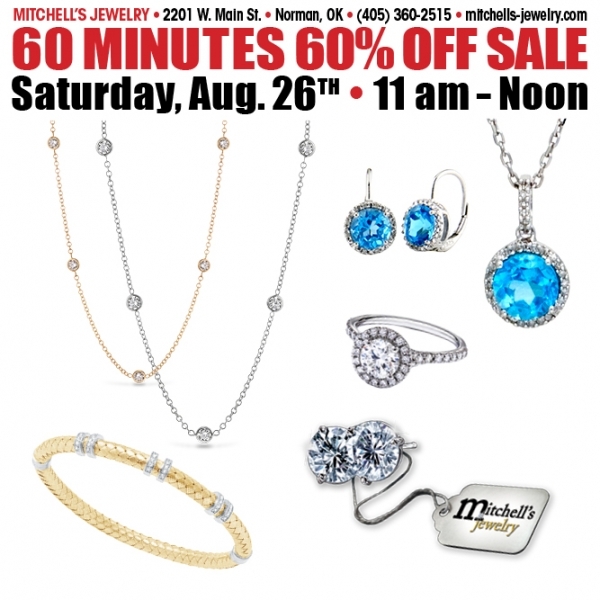 60 MINUTES 60% OFF happens this Saturday from 11am to noon. 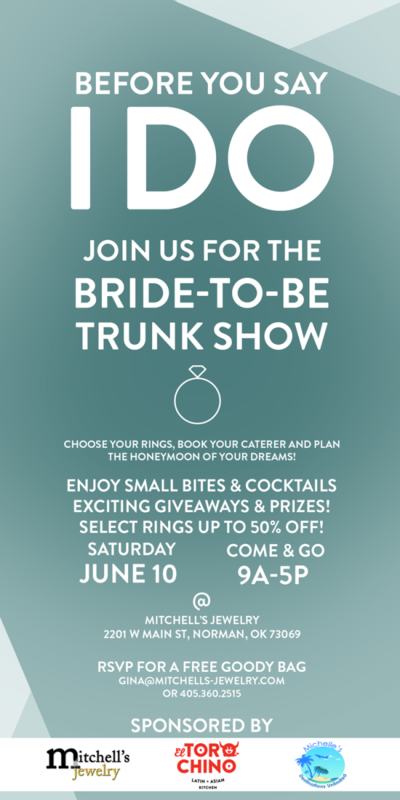 You will be guaranteed admittance to this special event as long as you are in line between 11am and noon! 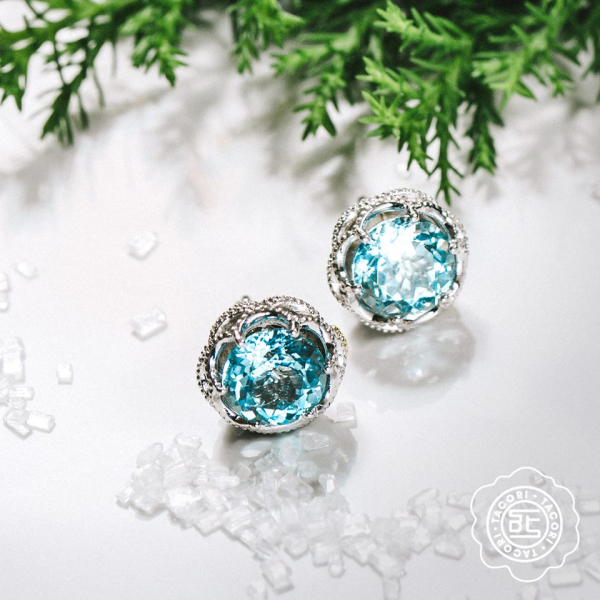 “Spring into Platinum” with Tacori! 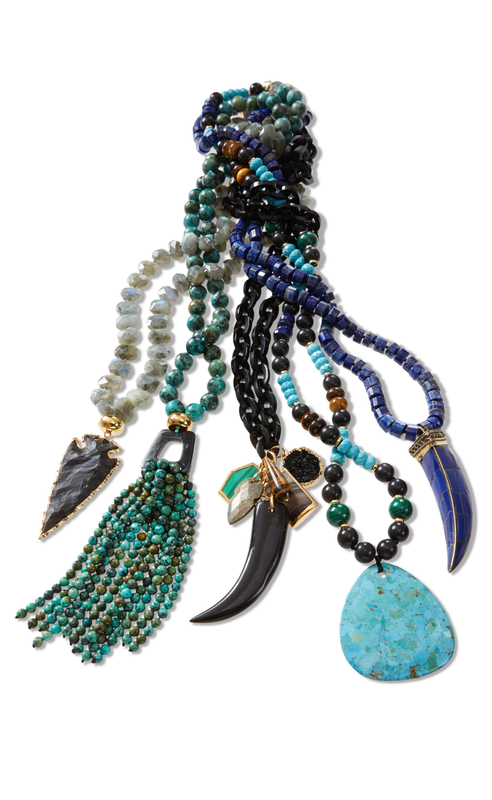 New Sara Blaine Jewelry has arrived! 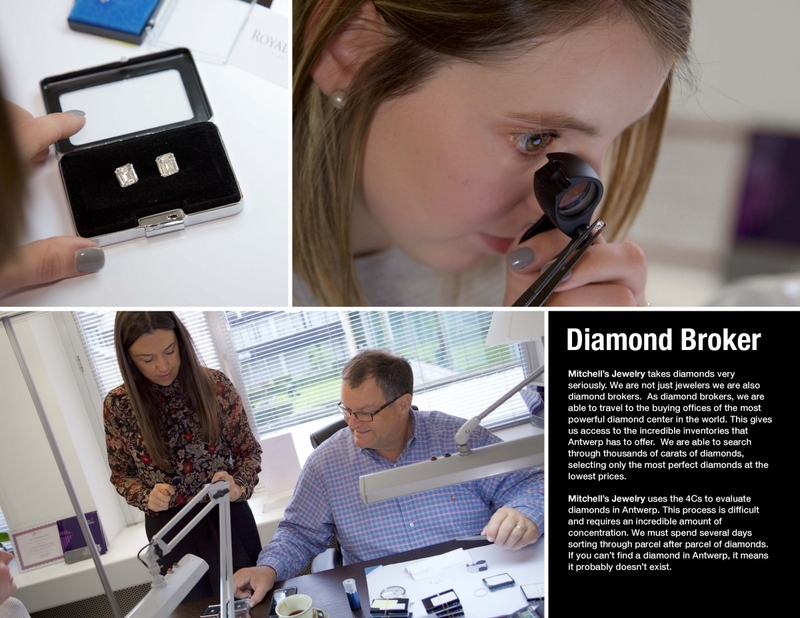 You could be our 34th Antwerp Diamond Winner! 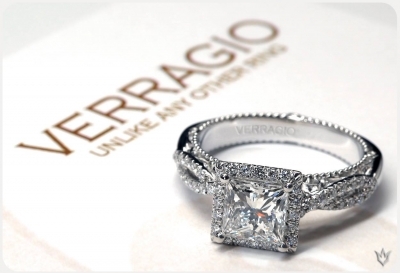 Join us Friday, October 30th and Saturday, October 31st for our Verragio Trunk Show. 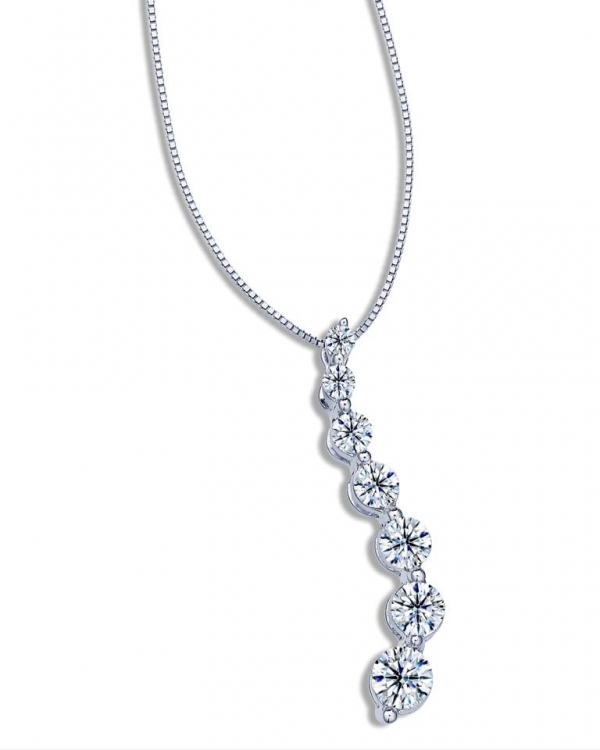 We will have special pricing for all Antwerp diamonds too! 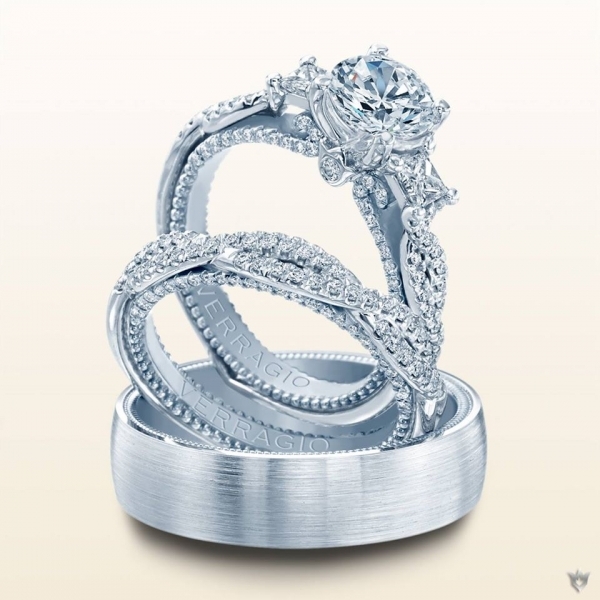 Let us help you select the ring of your dreams! 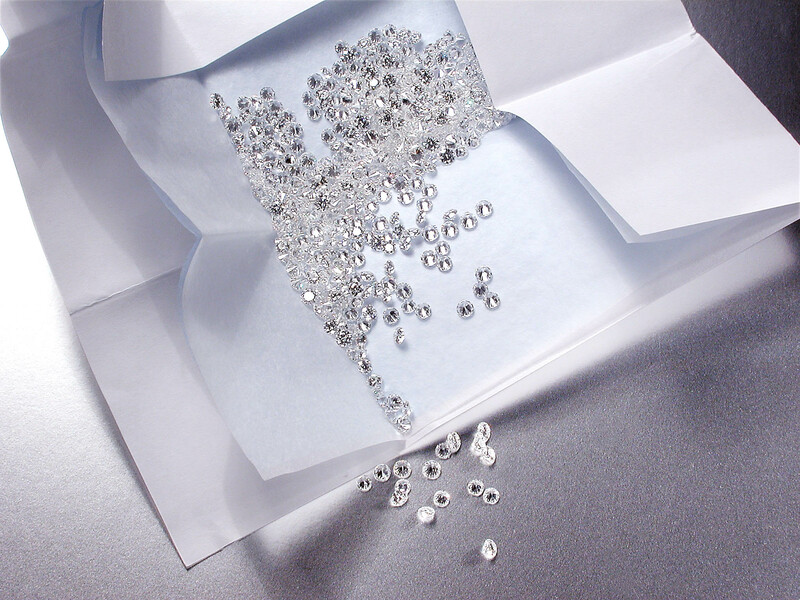 Let us help you with your Wish List, a gift for someone special or perhaps your jewelry needs cleaning, inspection or repair. We are honored to serve you. 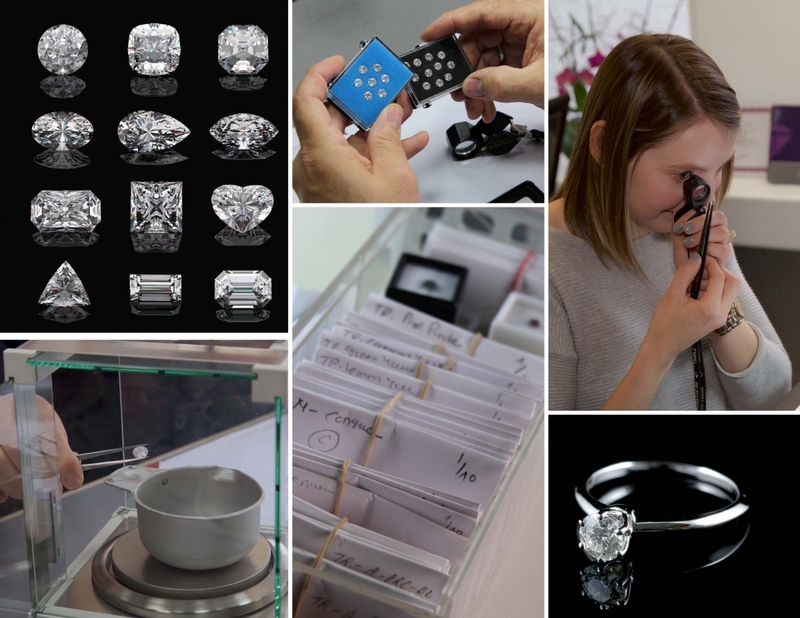 Let us select an Antwerp Diamond for you! 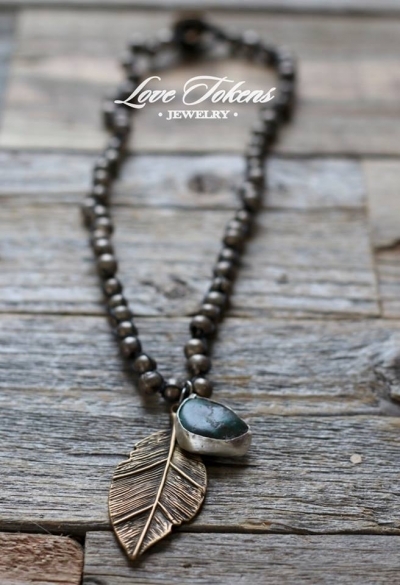 Photography by Shevaun Williams, beautiful jewelry and our very own gorgeous customers make for one fabulous catalog! 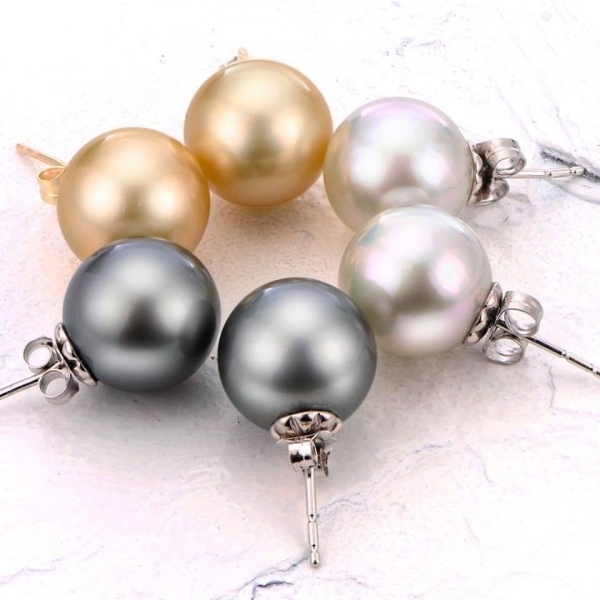 Click on Our Store and Our Catalog to see it!